Happy Monday friends. I hope you all had a fabulous weekend. My son had his Junior Prom on Saturday night. I cannot believe my Ben is old enough to be at his prom. Ben and his friends looked amazing. I hope you got to follow on my Instastories. So I wanted to share with you one of my new favorite trends. Camo and blush? Isn't this such a cute color combination? 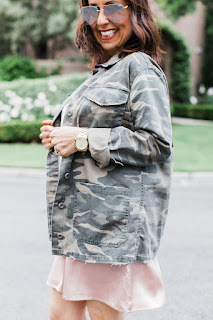 I love the idea of mixing something as rugged as camo print with a very soft and feminine color as blush. I think it is perfect for summer. 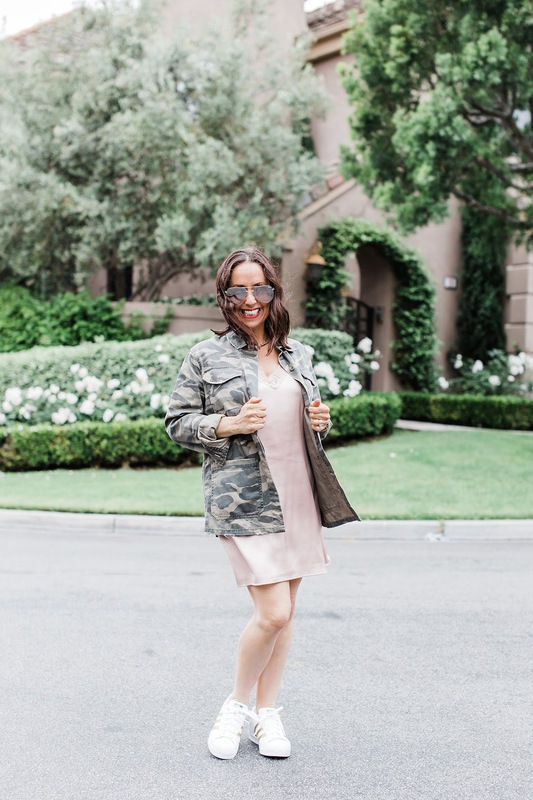 I paired this versatile and must have camo jacket with a blush slip dress, and kept it casual with my go to Stan Smith tennies. 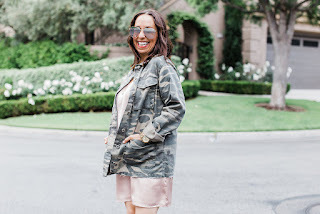 I added my Quay sunnies and I was ready to go. 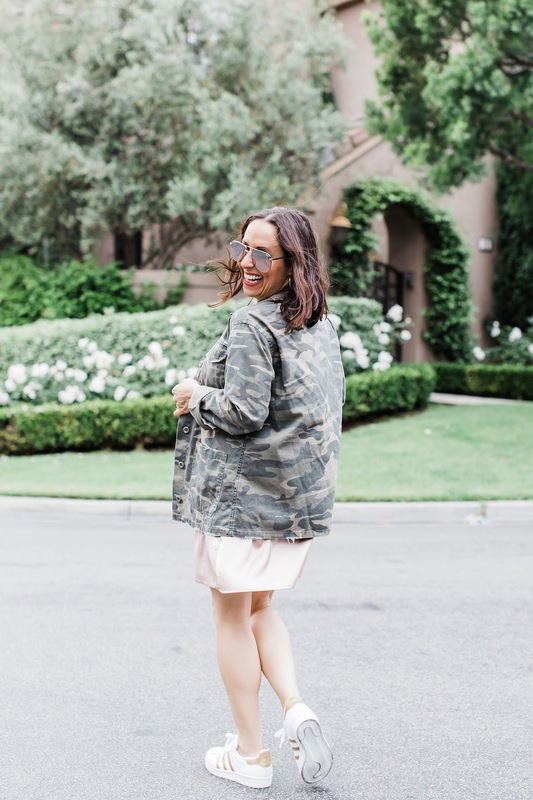 I absolutely love this look and will be wearing it on repeat all summer long. What do you think of this combo? Thanks to Gabi Wells for photos. 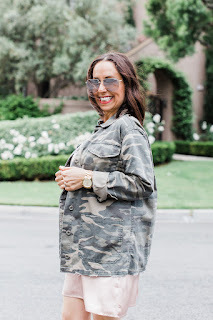 You can shop his look by clicking on the links above, and Happy reading!!! !